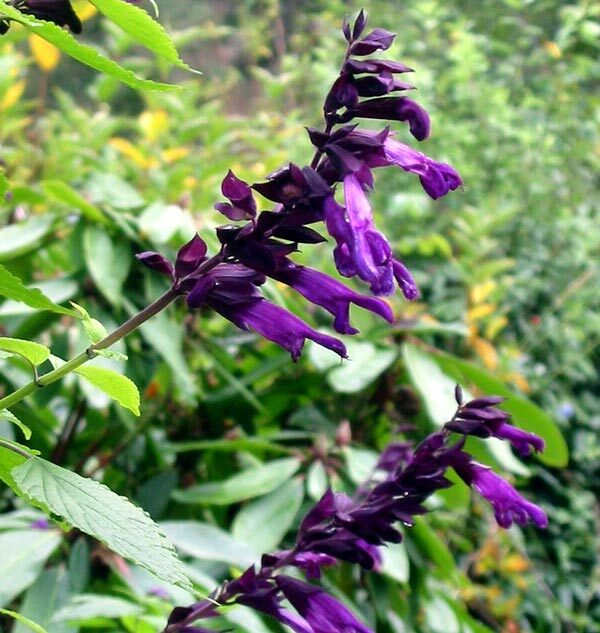 Salvias grow well here in the free draining soil, and one of my favourite Salvias is Black Knight. I first saw this huge perennial in the back of the perennial border at the Christchurch Botanical Gardens, and loved its size and the deep purple-black flower colour. I have places at the back of two borders where I grow Salvia Black Knight. For me they are slow to grow, and are not full sized until early Autumn. The flowers, too, unfurl slowly, with their colour deepening through the Autumn weeks. The final colour is the richest deepest blackest purple in the garden. The amount of growth that a plant makes in a season always amazes me, as my plants end up over six feet high. Every winter I make sure that I have cuttings of Black Knight growing on in the glass-house for next summer's garden. They strike easily with no complications. The bees love the vibrant purple flowers, and in late Autumn come out of retirement en masse to cover the plants. I leave the stalks standing throughout winter, and when I cut them down I cover the base with pea straw. 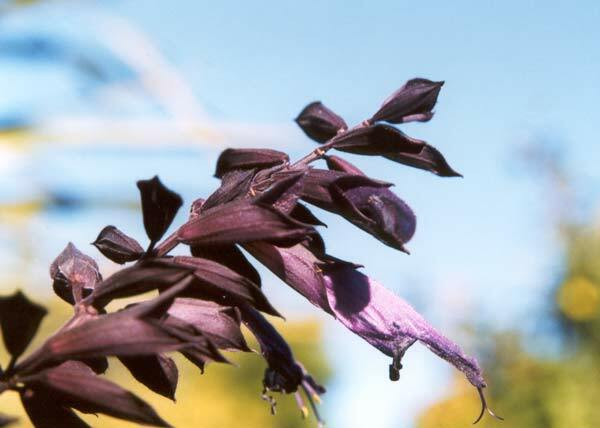 Some salvias have little tolerance of frosts, and Black Knight may be one needing protection.